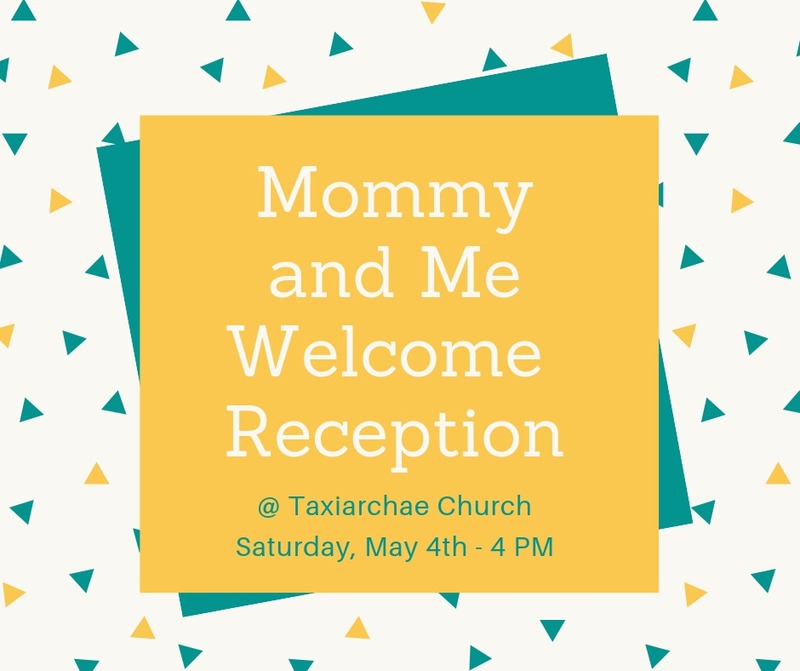 Our Taxiarchae Family would like to invite you and your family to our Spring 2019 Mommy and Me welcome reception on Saturday, May 4th at 4 PM! At this event we will have the opportunity to learn more about the ministry of Mommy and Me. Refreshments and light appetizers will be served while our priests, Father Athanasios and Father Nick will give a talk about Mommy and Me and the importance of this particular ministry and what it provides for the youngest members of our church family. There will also time set aside to meet and get to know other families in fellowship. I have run Mommy and Me since the beginning of this ecclesiastic year. I have a master’s in secondary education, but have worked with younger children and nannied for many years. I have a son who is 3 years old and is eager to play with other children his age. I am self-employed and I am a stay at home mom. Mommy and Me is held in the safety of our church. I have spoken with so many new mothers who tell me that they were searching for a program like this for their young children. Our Mommy and Me program brings us together through our culture and Greek Orthodox Faith. It gives adults a chance to talk to other adults and it gives the little ones a chance to play and make friends. At Mommy and Me, a light snack is provided, there are toys to play with, books to read and crayons for coloring.